Recommend Magazine, a leading travel industry resource, has featured our Art Walk art-course vacations as a best option for travelers ready to head out on their own. Solo travelers feel at home and love all our vacations, and our Art Walks especially so. 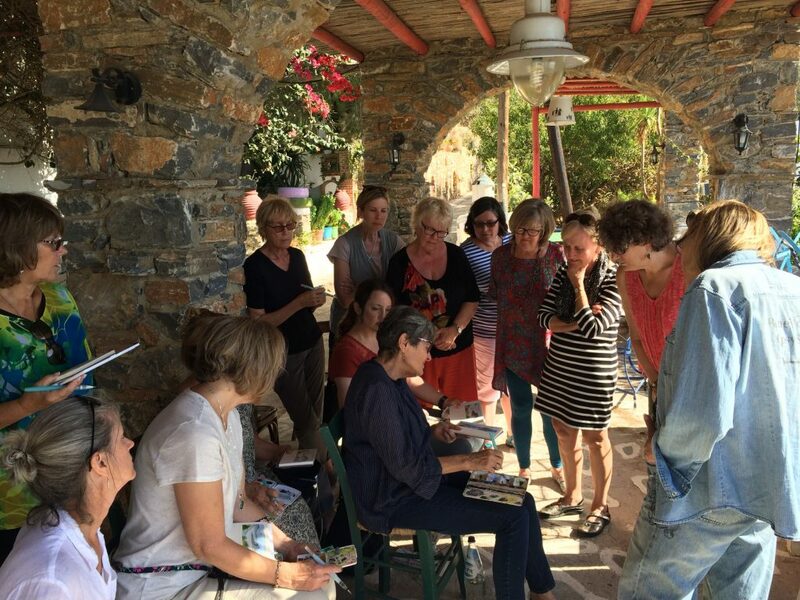 Our art-course vacations blend first rate teaching by talented and engaging artist-teachers with leisurely European walking tours in some of the most beautiful locations in the world. Couples, friends, and family members (lots of mother-daughters) join in too! Travelers on an Art Walk will hone their craft while learning from artist-teachers and their fellow students. Walking tour operator The Blue Walk is appealing to solo travelers with a series of art-themed walks through France and Italy that are especially geared towards parties of one. Travelers on an Art Walk are led by artist-teachers who will teach the group techniques, tips and tricks to practice their craft, while helping them find the most interesting subjects to draw or paint. Each morning the tour will start with an art-themed walk that includes rural trails, coastal paths or strolls through the city. Guests will then have the afternoon to explore on their own or with their fellow art students. For solo travelers on an ArtWalk, being alone is optional as Candau explains that the group often forms tight bonds very quickly. Art Walks that will be offered in 2018 include the 7-night Art Walk Italy, which will take place Sept. 22-29 and incorporate watercolor and sketching lessons; Watercolor Sketching in Paris offered Oct. 7-13; and Chalk Painting in Florence, Italy on Oct. 15-21. Prices starting from $3,350 pp dbl depending on the tour. For more information, visit thebluewalk.com.